"Do you mean to say that people actually collect these?" That was a remark during a discussion on coil stamps and the numbers on their back I participated in some weeks ago. Must have been a postal historian! Yes, of course we collect them because they may yield valuable information. 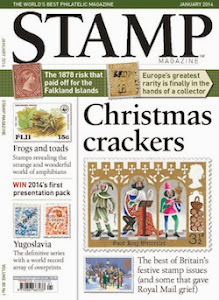 And they can make the difference between ordinary stamps and rare ones. Let me educate all you doubters. First of all, what's the difference between these two stamps? 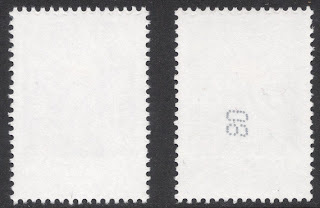 Exactly, one is a coil stamp, and the other is a sheet stamp, which only becomes clear when you look at the back. Although honesty compels me to admit that the stamp without a number on its back may also be a coil stamp, because on these German coils, the number is only placed on each fifth coil stamp. The French are more accommodating for they place a number on each and every coil stamp. 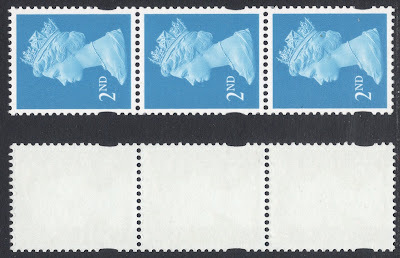 And they are even more accommodating by giving the coil stamps imperforate sides. The Swiss used to have the number preceded by a letter. Of old letters A to L were most often encountered, with 12 coils in a sheet, each column a different letter. The later letters do exist but are extremely rare, and though I've been looking for well over ten years now, I've never come across one. Coil stamp numbers may also tell you when the coils were printed. Take a look at the Dutch Beatrix definitives for example. 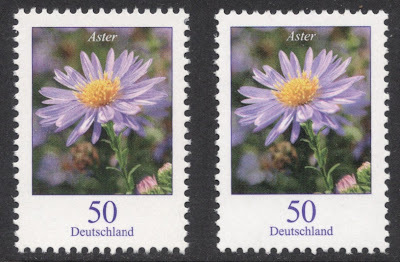 They've been around for a while, and during all those years, the printers Enschedé have changed the format and lettertype a number of times, making it possible to date the stamps. And from the number you may also derive how large the coils they originated from are. 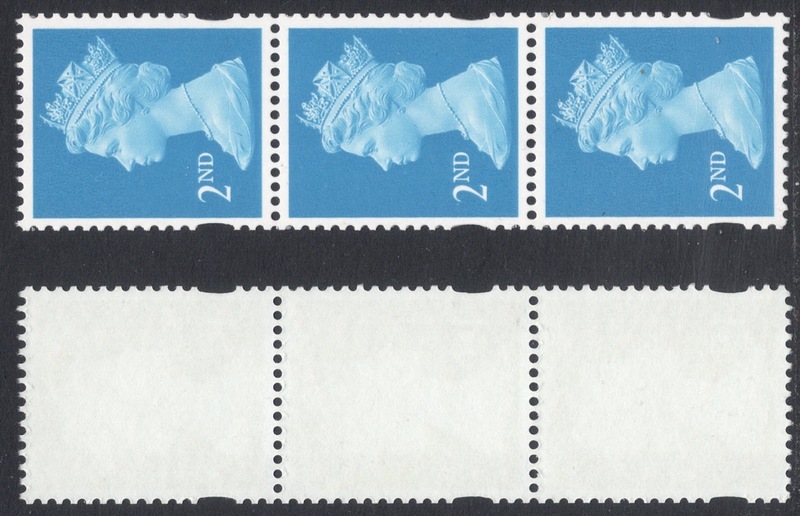 75ct: type 7 from coil of 10,000, printed in 1991-2. 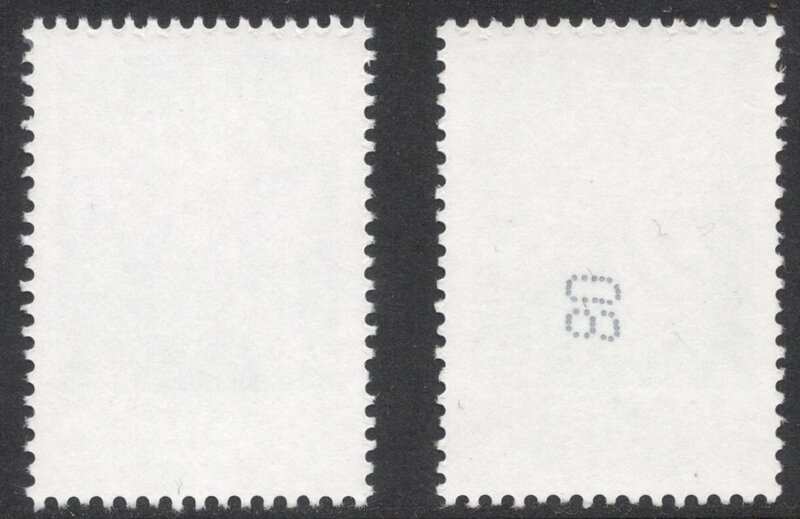 1g: type 7c+A from coil of 1000, printed in 1998. Enschedé also printed the Machin coil stamps of Hong Kong, but I'm not sure whether they were printed for a period long enough to see any changes in the number. Still a bit of research to do there, which might make a nice project for the coming winter months. Anyway, in less than five minutes I've managed to give you umpteen reasons why it does make sense to look at coil stamp numbers and not just dismiss them as being there for accounting purposes. Better get your stockbooks out and see what hidden gems you have in there! The Beatrix and Machins above - are those numbers the start of a coil?
" Miles better than the British who don't do neither." @ Julia: well, near the start anyway. All coils I have seen so far count backwards so when the coil is nearly finished you end up with 0010 then 0005 and then that's it. @ Ian: thanks for rectifying that. I really didn't know! We Machinites know that non-self-adhesive coils can be identified by the smooth edge of the perforations on the non-joined sides. This is apparently not the case for the German and Australian coils you show. That's right! It would seem these are torn into strips rather than cut.